The Pombal Composition 2015-074 from the TemaHome collection offers the total package because it blends versatility and functionality perfectly. This shelving system consists of panels made of honeycomb inlay framed with chipboard and encased in an MDF shell, ensuring the unit is built to last. And with its spacious design, you'll have no trouble finding room for your antiques, books and other items with this shelving system. Enjoy a shelving system that will maintain its quality for years -- the Pombal Composition 2015-074.
are shelves adjustable. If not, what is the height and width of each cube? 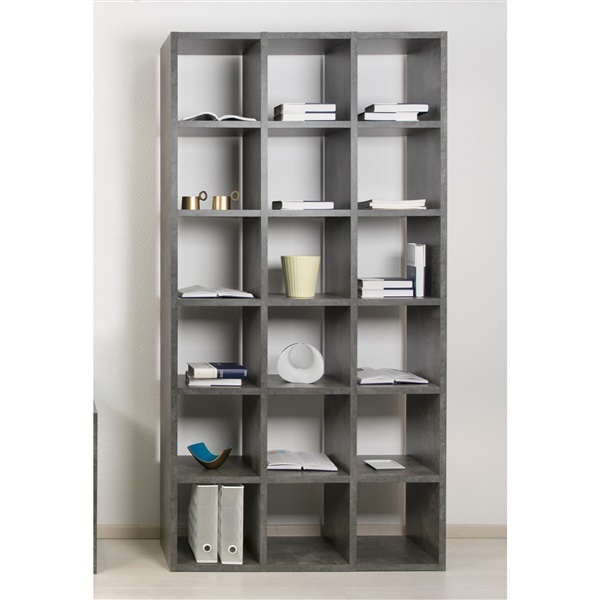 The shelves of the Pombal Composition 2015-074 are not adjustable. The dimensions of each storage cube are 13.4" h x 31.4" w x 13.39" d.